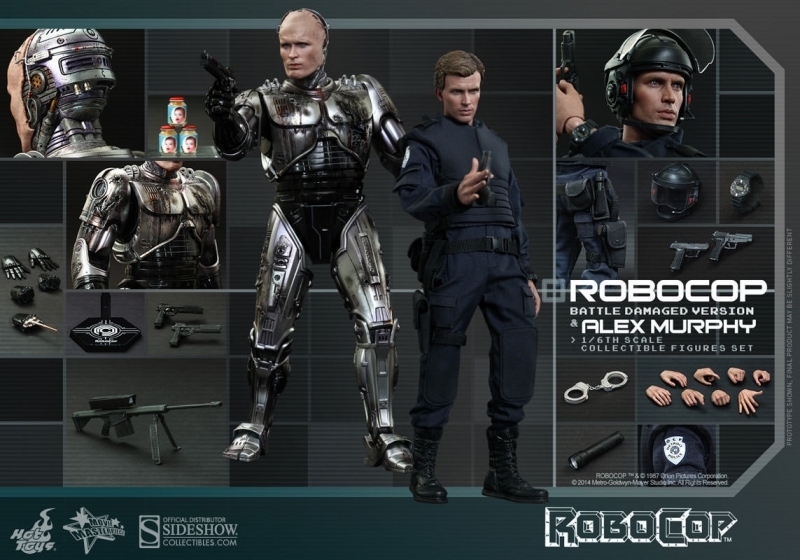 Aus Hot Toys´ luxuriöser `Movie Masterpiece´-Reihe kommen diese großartigen Figuren von RoboCop und Alex Murphy aus dem Film `RoboCop´. Sie sind je ca. 30 cm groß, tragen echte Stoffkleidung und kommen mit jeder Menge Zubehör- und Austauschteilen. 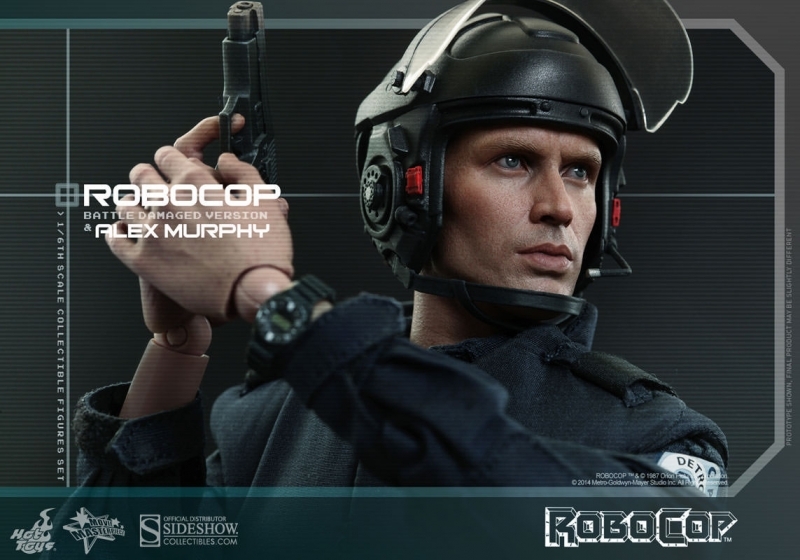 Sideshow Collectibles and Hot Toys are delighted to present a special collectible figures set which includes the highly-anticipated sixth scale collectible figures of RoboCop (Battle Damaged Version) and Alex Murphy in police uniform! 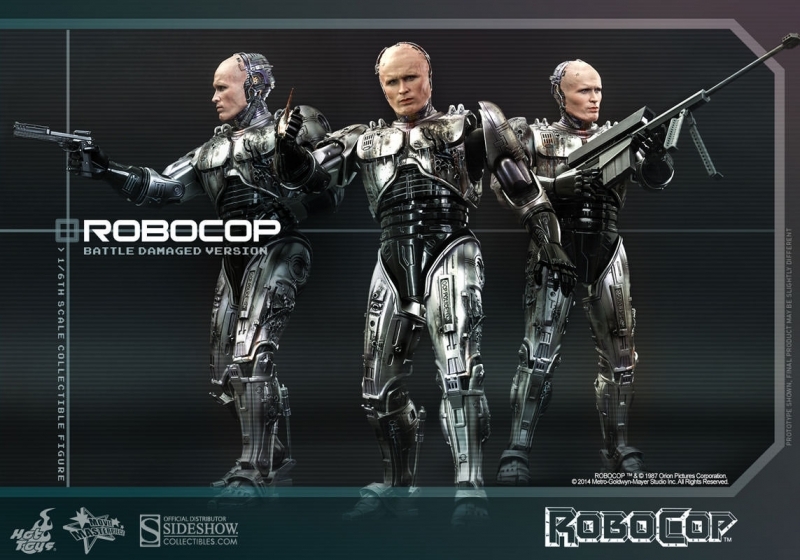 It is the first ever official sixth scale collectible figure which features a remarkable likeness of Peter Weller who played the unforgettable man who was brutally "murdered" to become the cyborg officer, RoboCop. The movie-accurate RoboCop (Battle Damaged Version) sixth scale figure is specially crafted based on the image of Peter Weller in the film RoboCop. 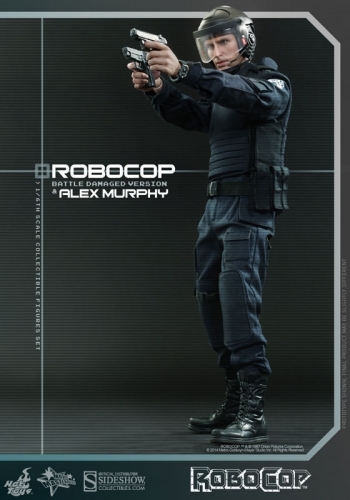 Featuring a new head sculpt, specially painted battle damaged armor, working thigh gun holster, and detailed weapons and accessories. The Alex Murphy sixth scale figure is based on the image of Peter Weller in his police uniform featuring a newly developed head sculpt, highly detailed costume, weapons and accessories. Kundenbewertungen für "RoboCop Battle Damaged Version & Alex Murphy Movie Masterpiece 1/6 Actionfiguren Set"